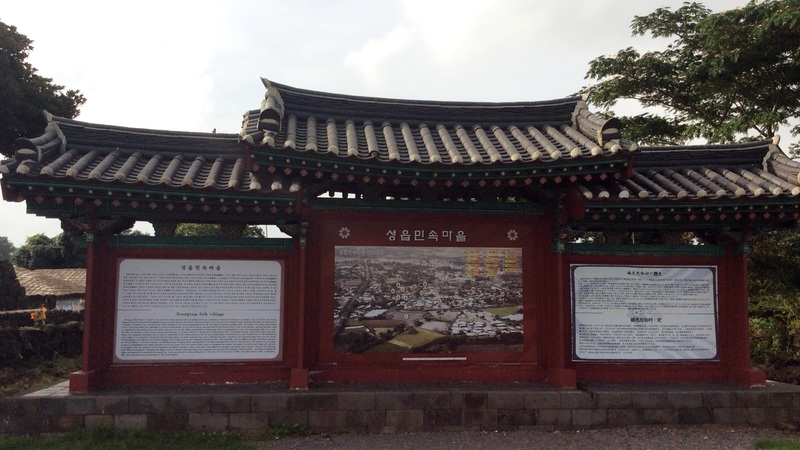 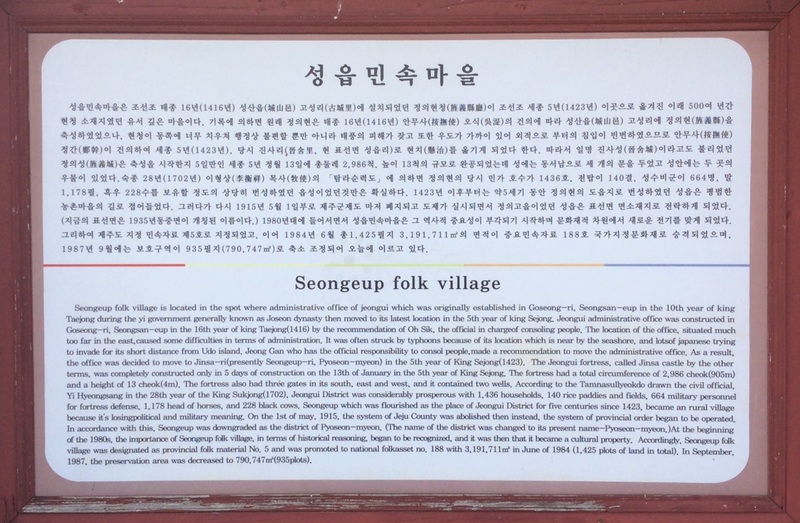 Seongeupville, 10minutes’ drive from the Pyoseon Beach, should be visited without the help from the guides or escorts. 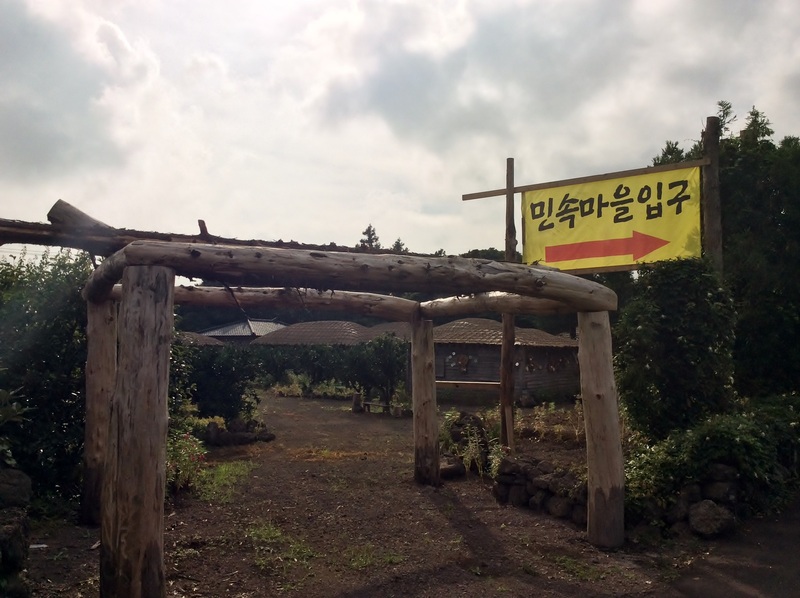 Anyone can look around the village in 1 or 2hrs by themselves, so I recommend tourists to visit the place on their way to Pyoseon or other famous sightseeing places. 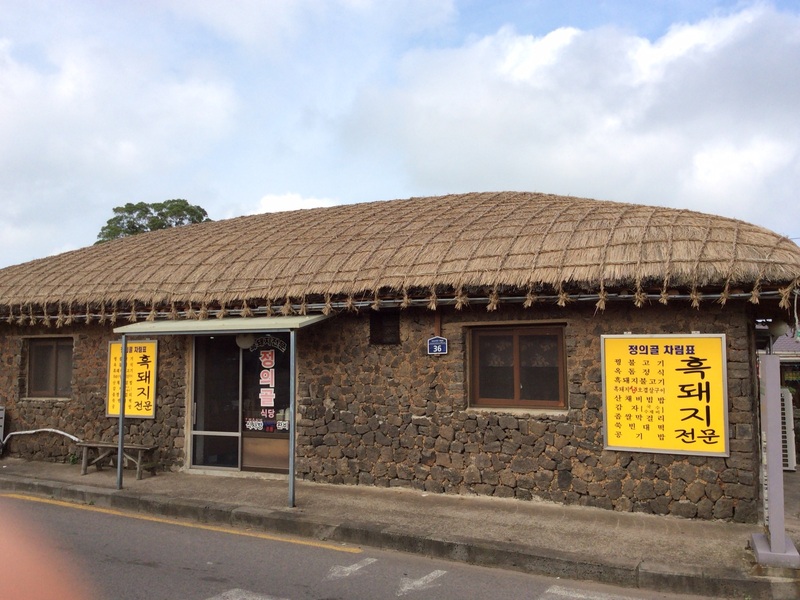 Seong-Eup Folk Ville can be visited on a any day, but be sure to put on the sunscreens and wear hats just before you travel since there aren’t many places you can avoid the sunshine. 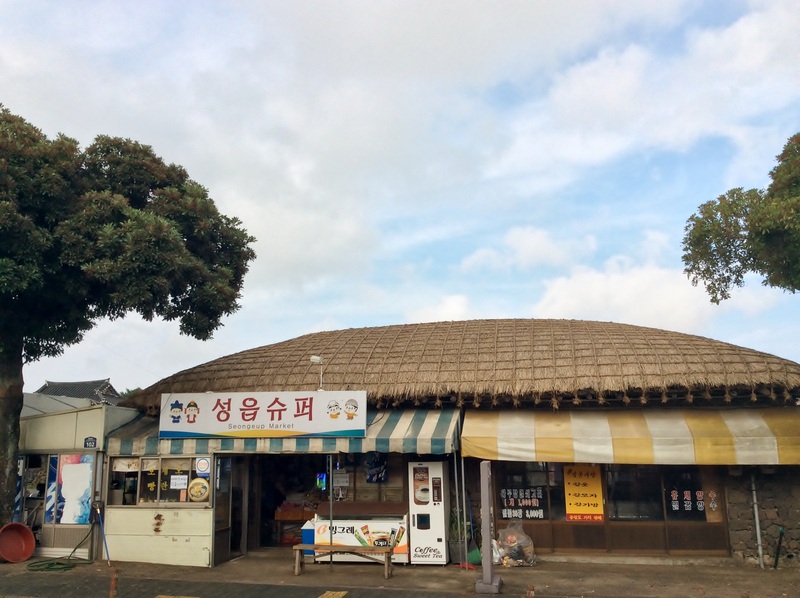 Various restaurants can be found, but the restaurants here could be a bit more costlier than elsewhere. 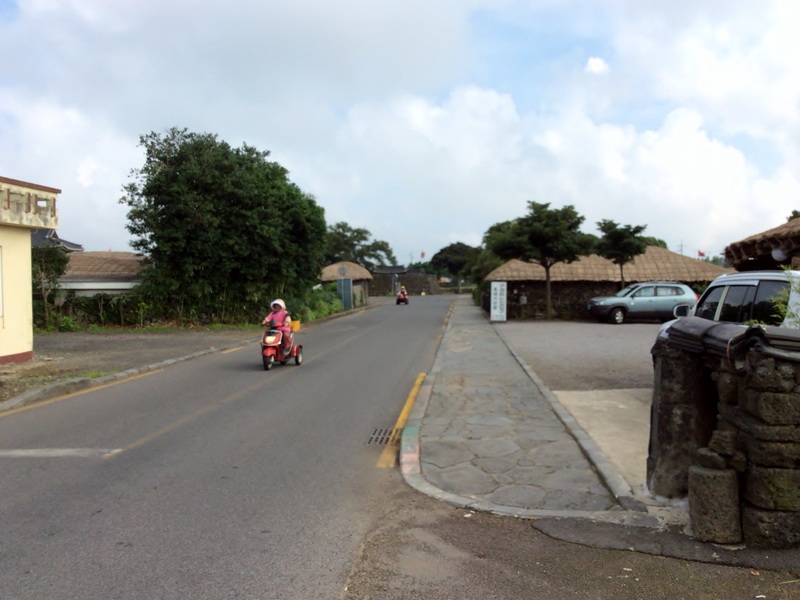 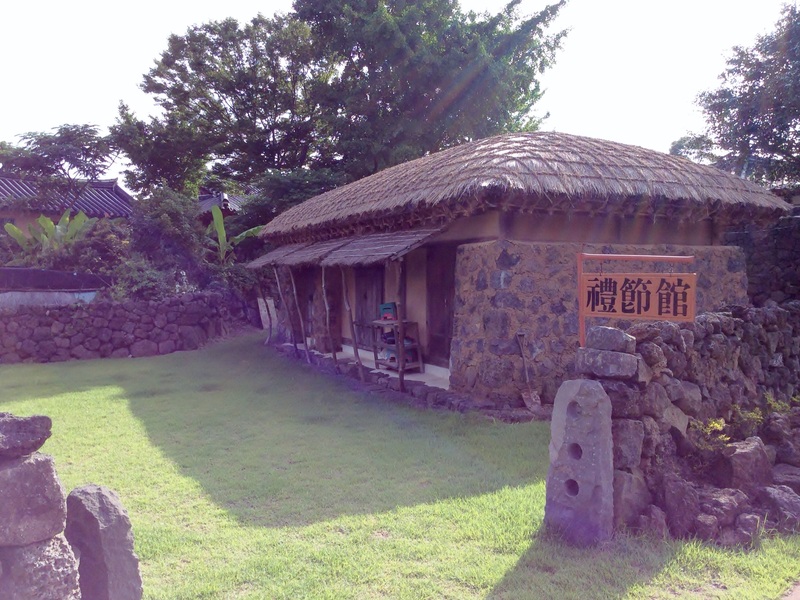 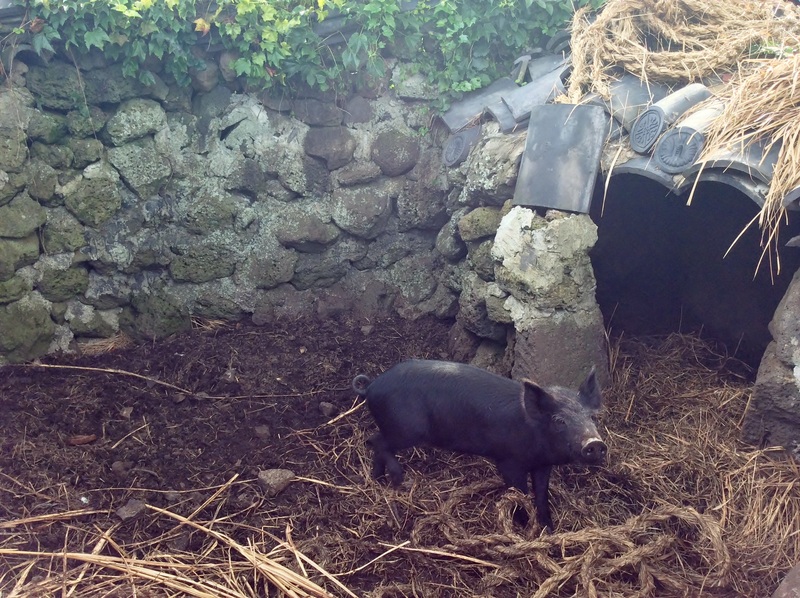 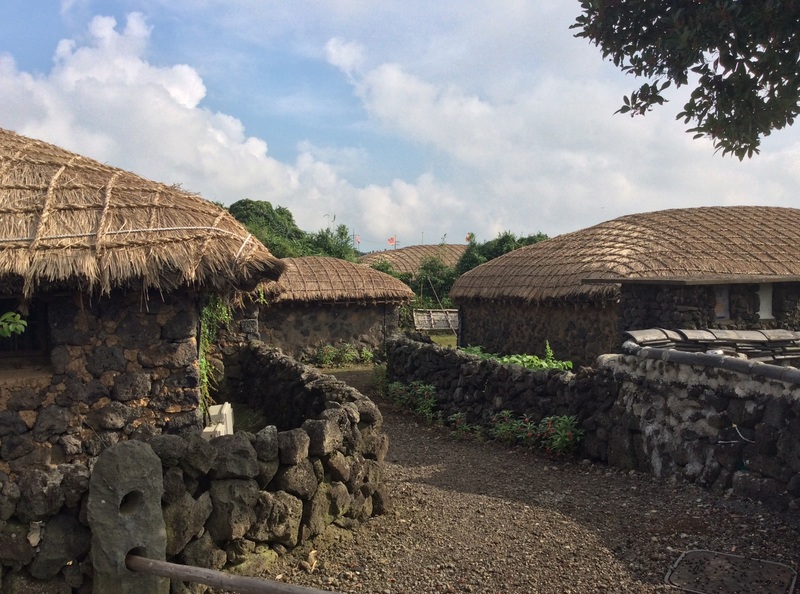 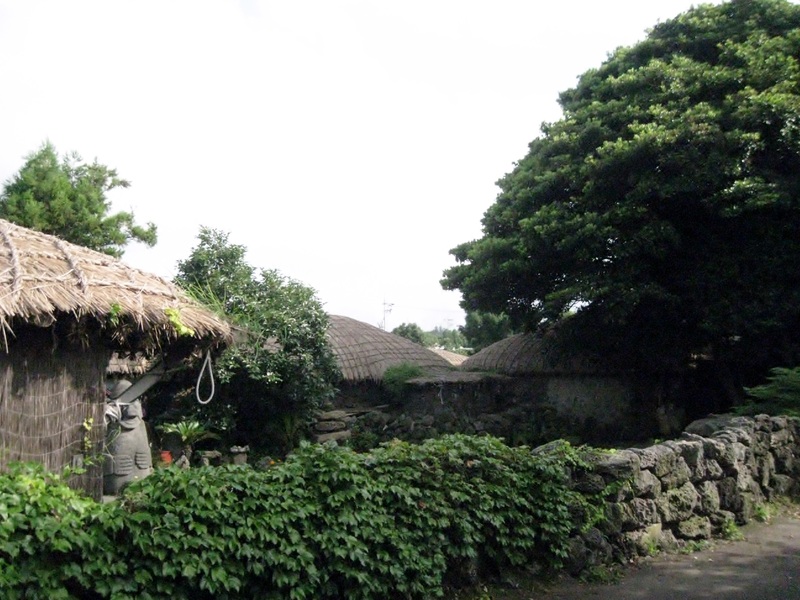 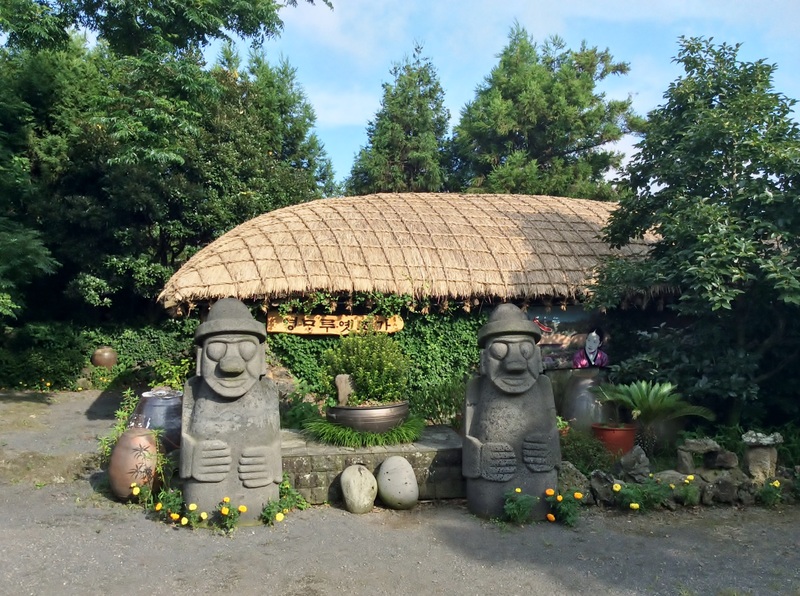 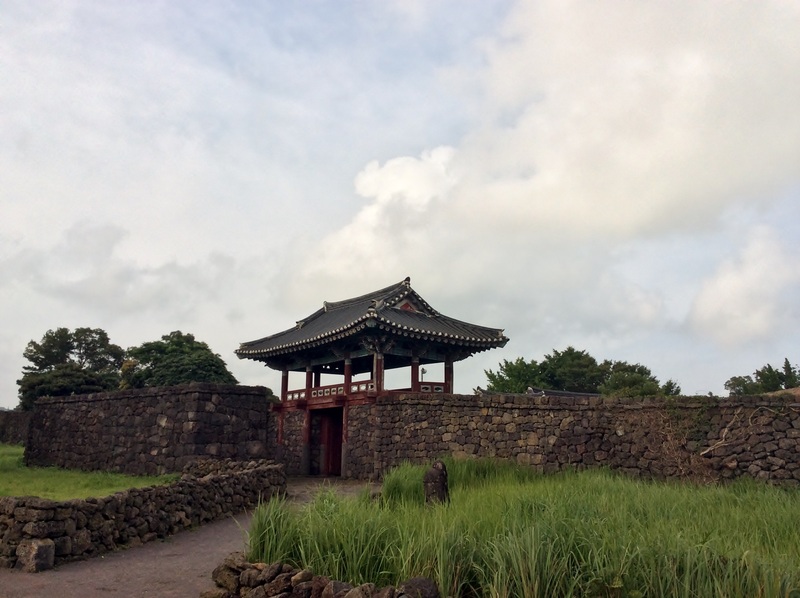 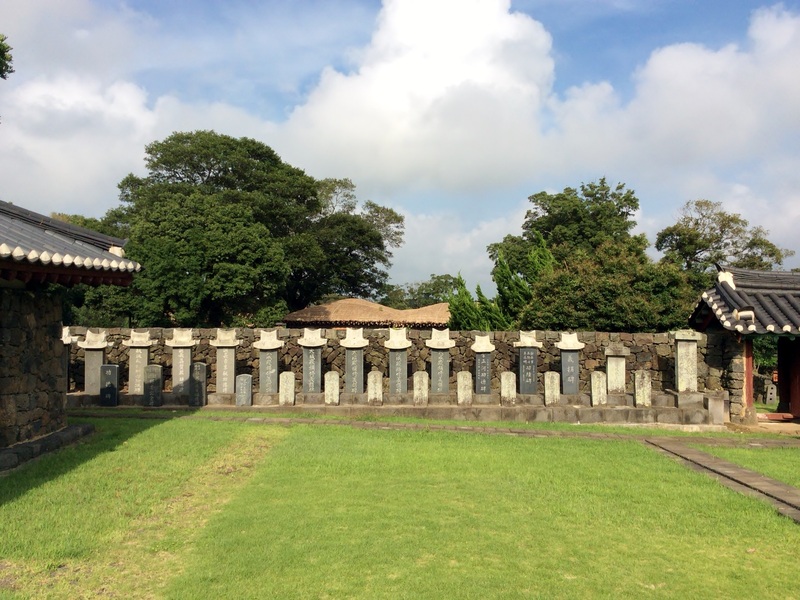 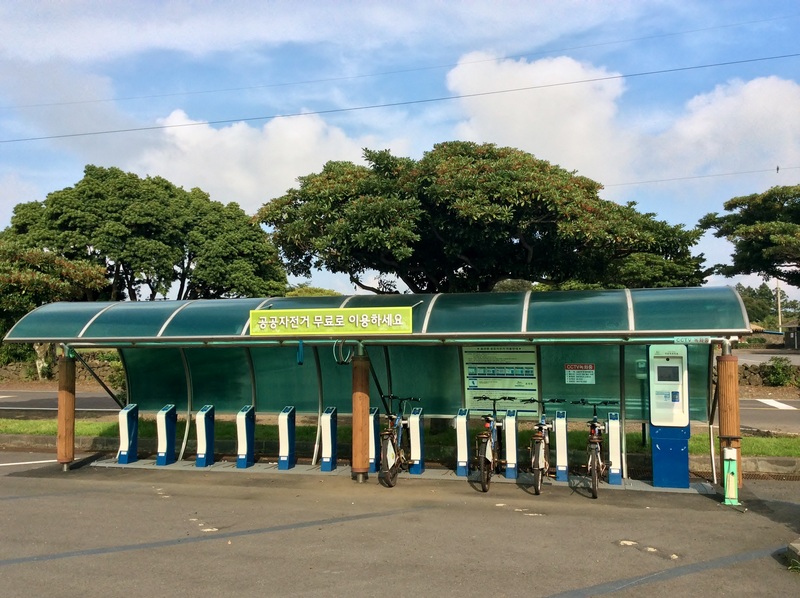 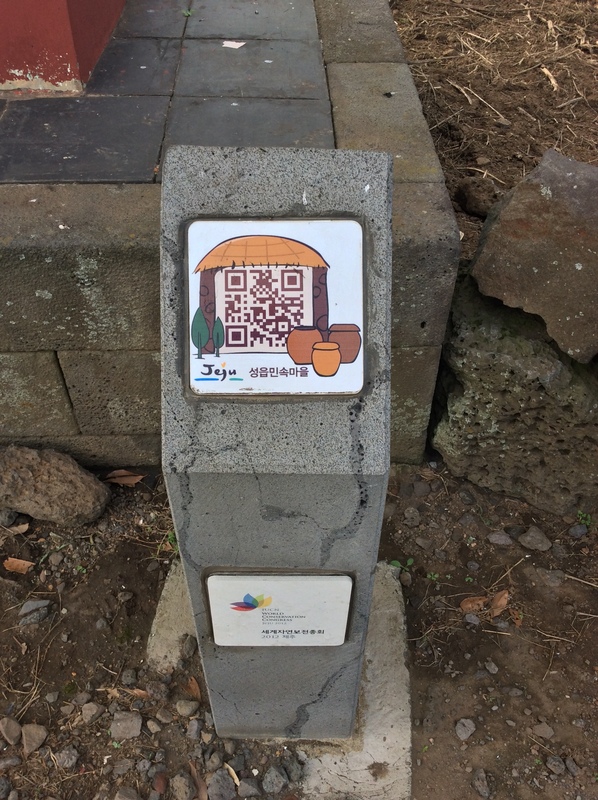 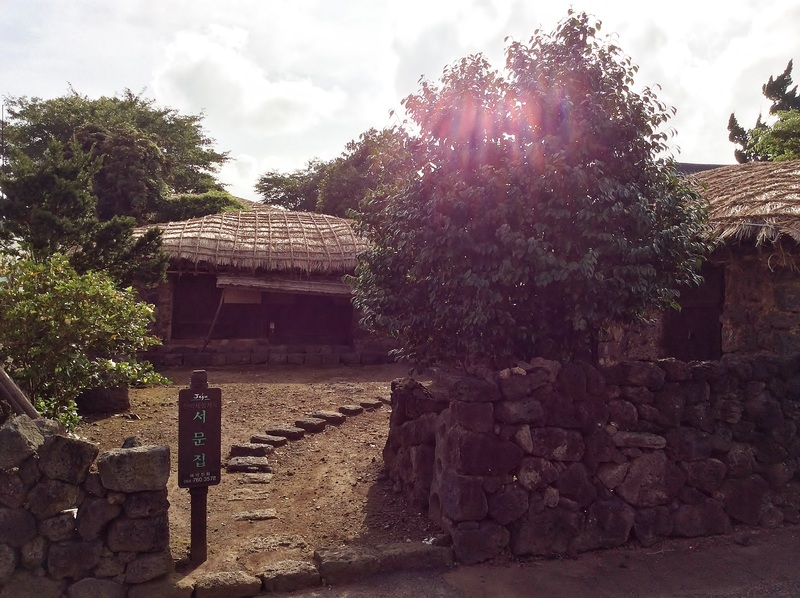 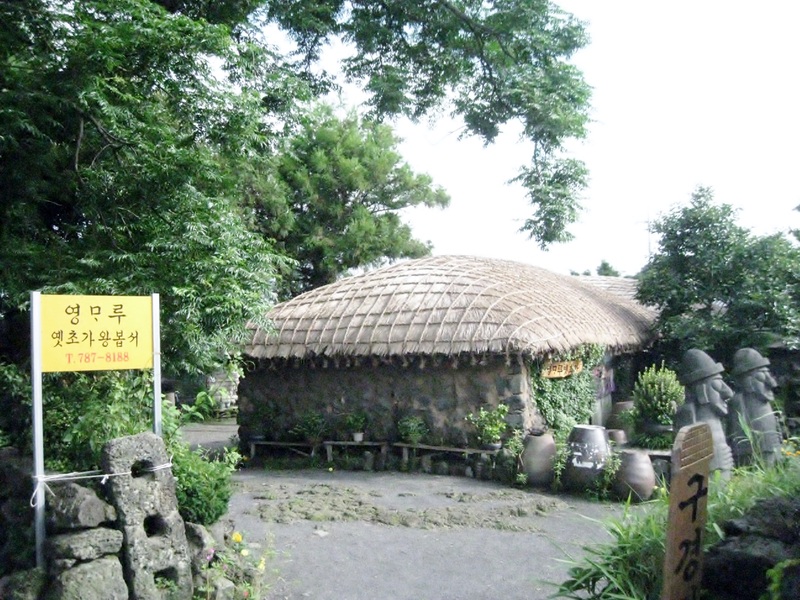 With a free bicycle anybody can borrow, roam around the whole village and see how native people in Jeju lived. 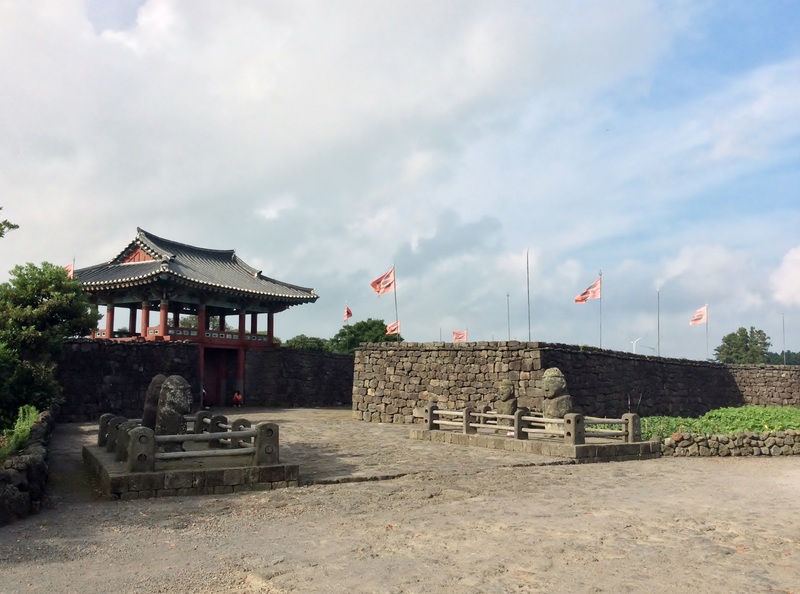 Fortress with the flag. 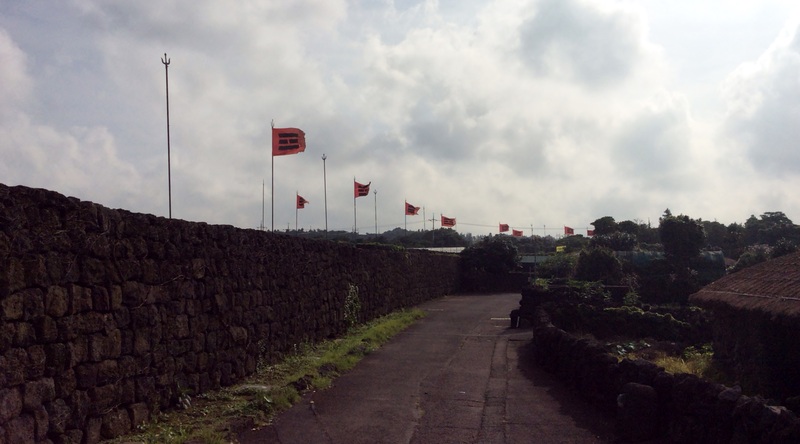 The logo symbolizes ‘sun’, ‘autumn’, ‘south’, ‘fire.’ Google the Korean Flag! 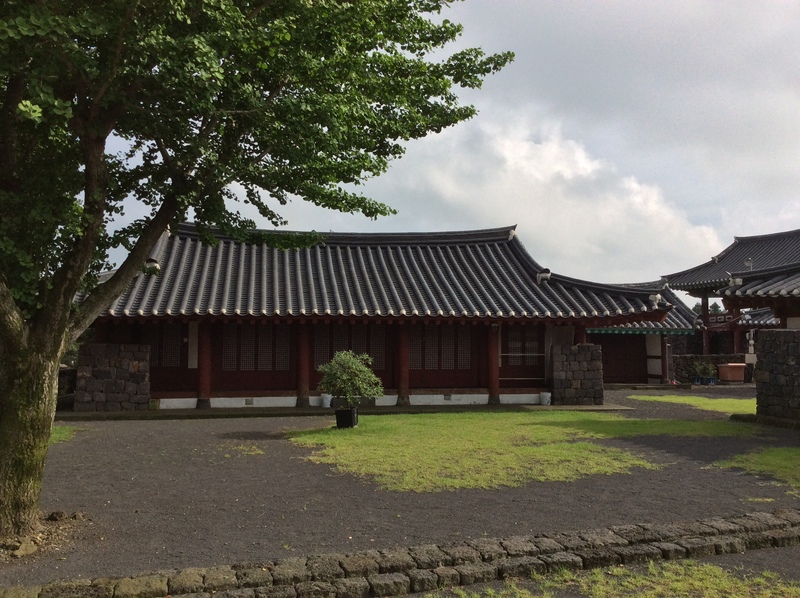 Gate of the ‘School of Confucian Teaching,’ unused for more than 100 years. 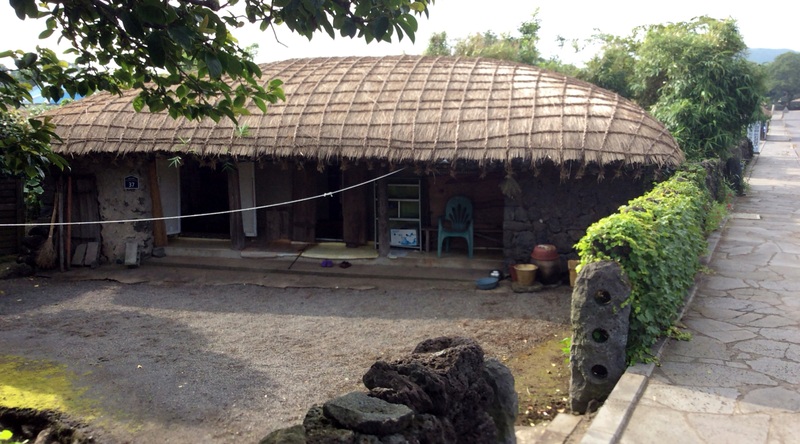 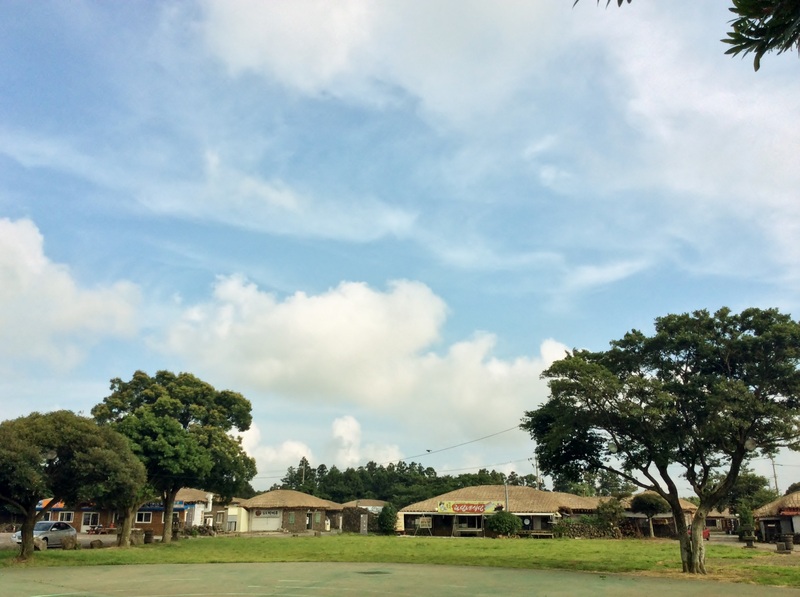 It’ll take around 1hr and 20 minutes to get to the Seong-Eup Folk Village by bus. 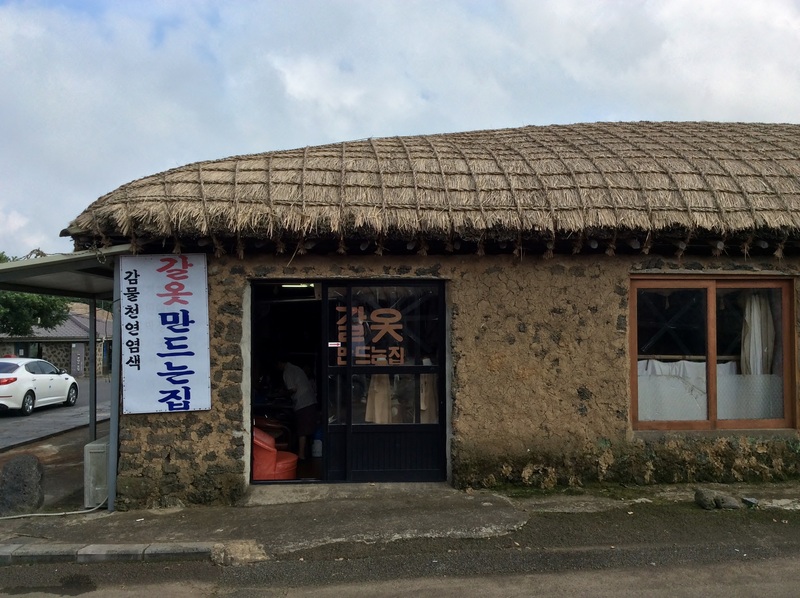 As SeongEup Village is located close to the Pyoseon Beach, I once again recommend people to visit the village on their way to the Pyoseon beach. 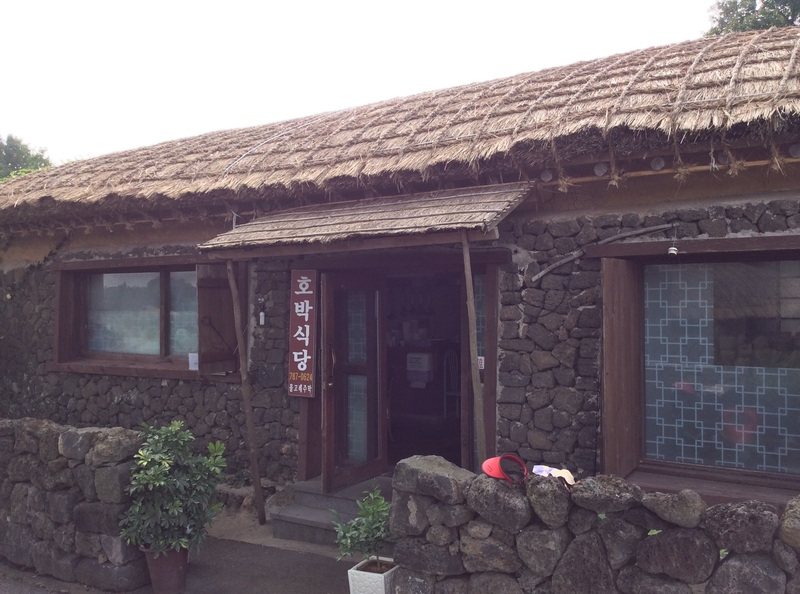 Sungsan-Ilchoolbong and U-do are also close by, therefore you can consider going there after visiting the Pyoseon Beach. 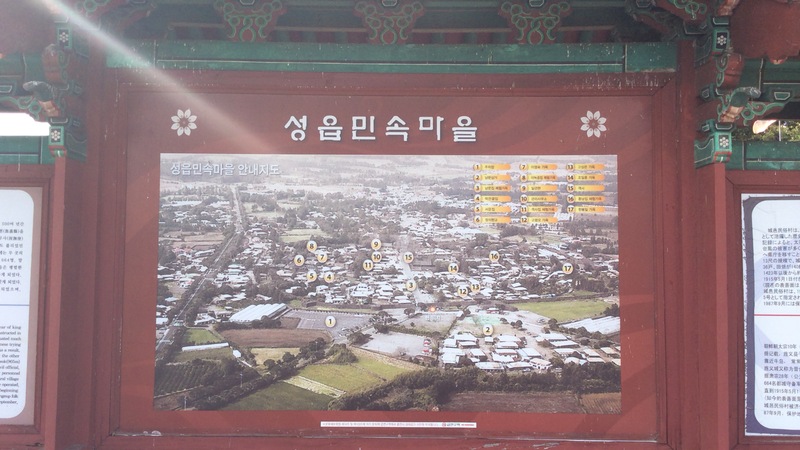 Note that there’s no direct bus to the Sungsan-Ilchulbong from Seong-Eup Village, so go visit Pyoseon Beach first before going to other attractions.